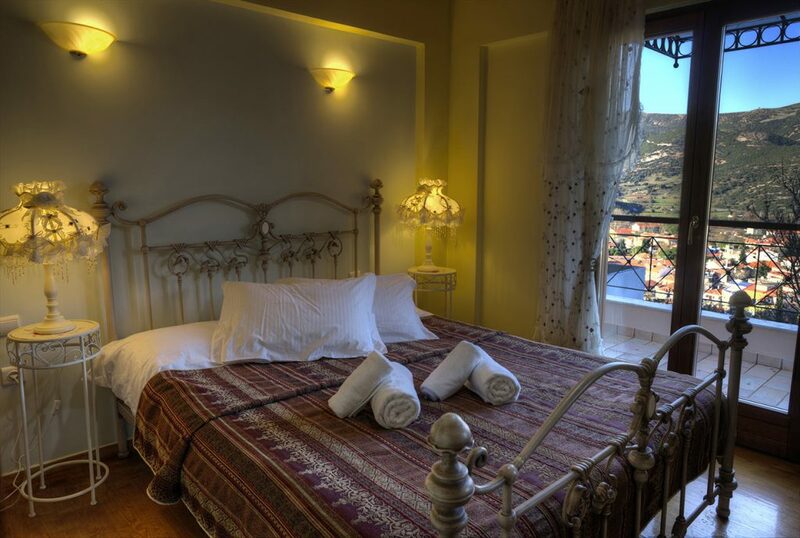 We always try your accommodation in Finday Suites eco Boutique Hotel Kalavrita reminds you of the traditional Greek hospitality, which we faithfully follow the last several years. 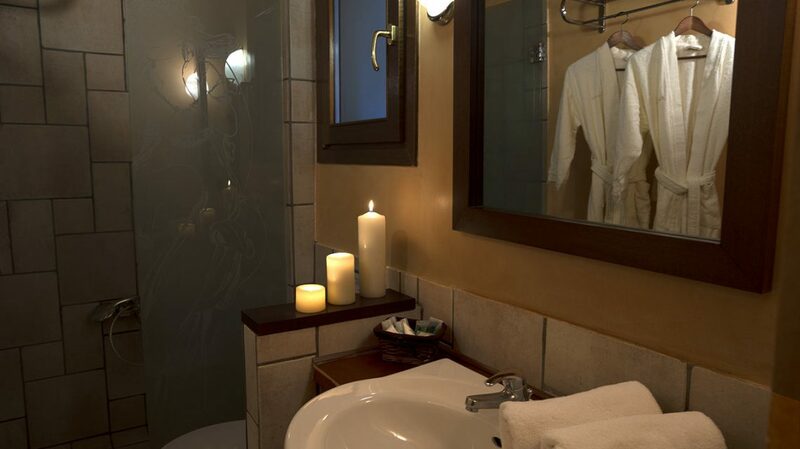 We would like every visitor feels like a guest in our family. 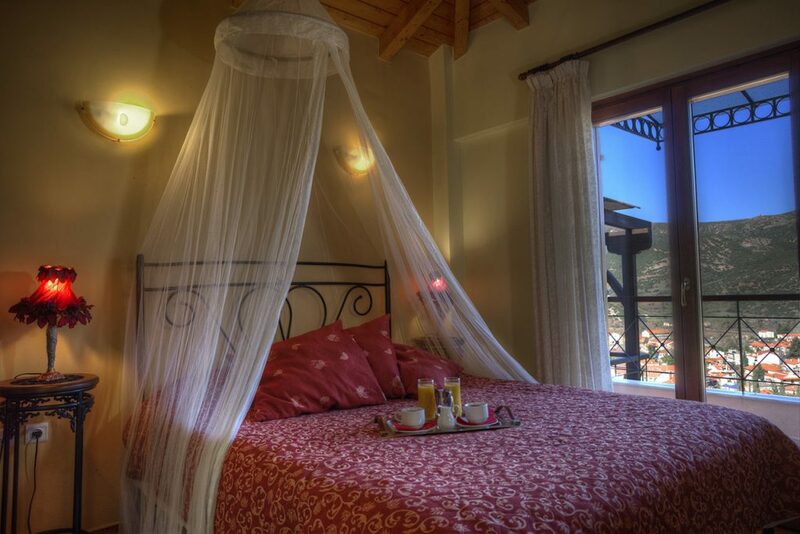 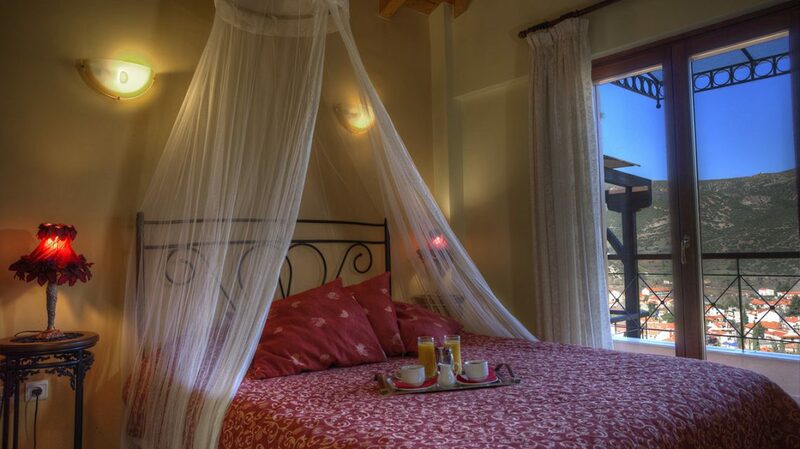 Here you can live your magical moments in an authentic Peloponnesian landscape. 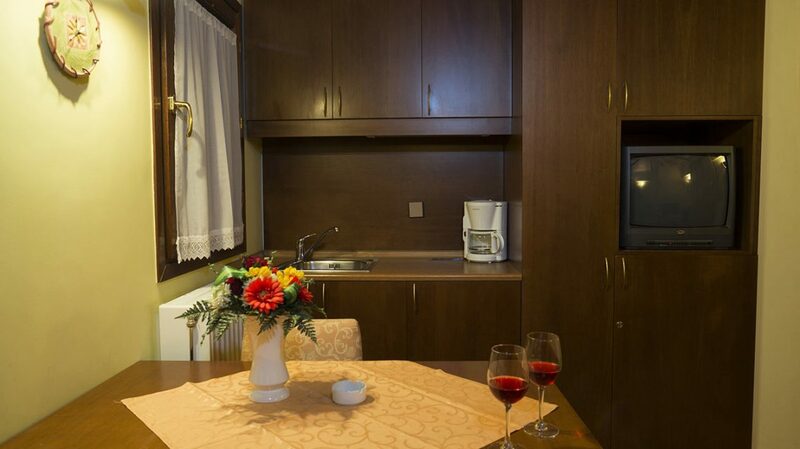 By choosing the Deluxe apartment you will be placed in two spaces house. 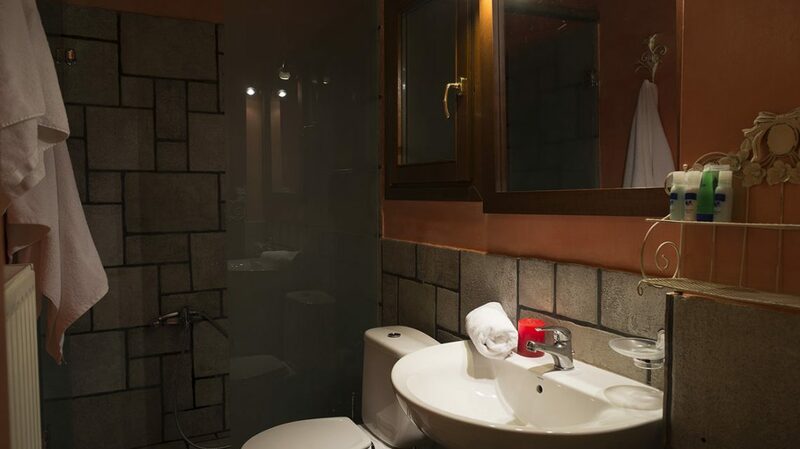 Its whole surface is about 40 square meters. 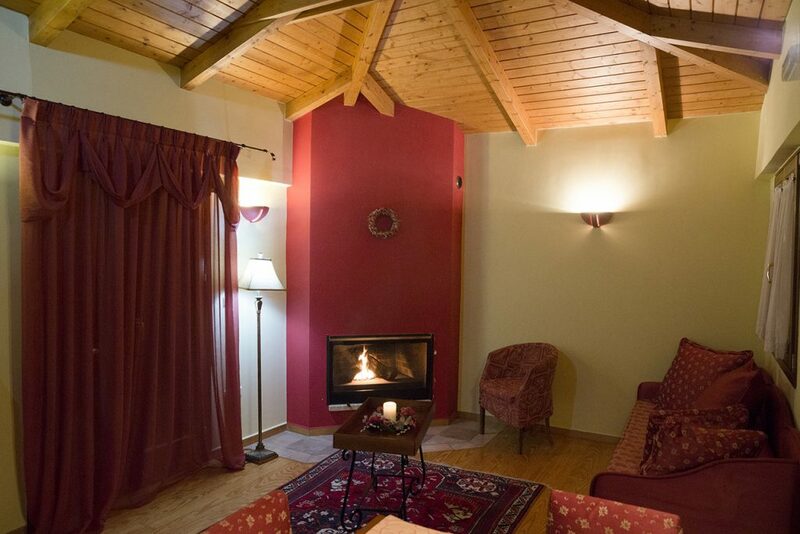 The wooden floors and the obvious wooden roof give warmth into the apartment. 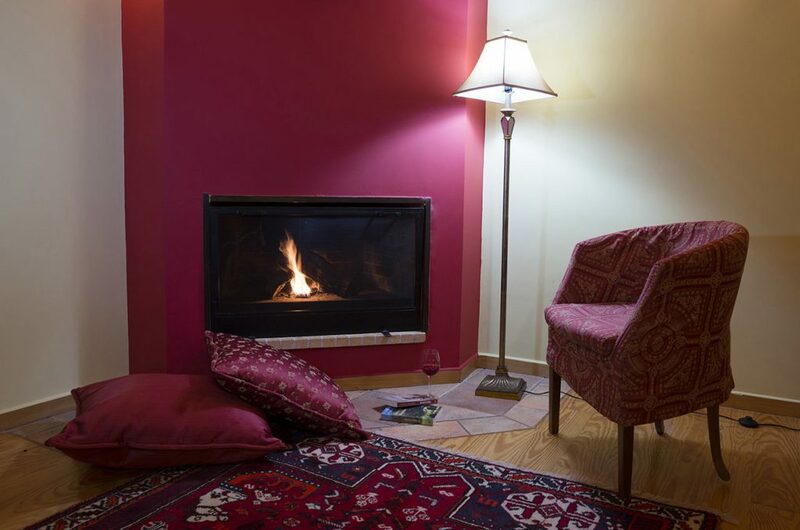 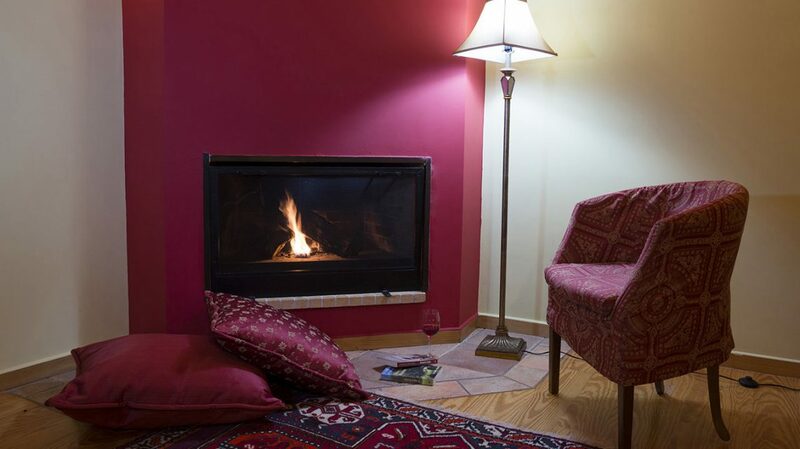 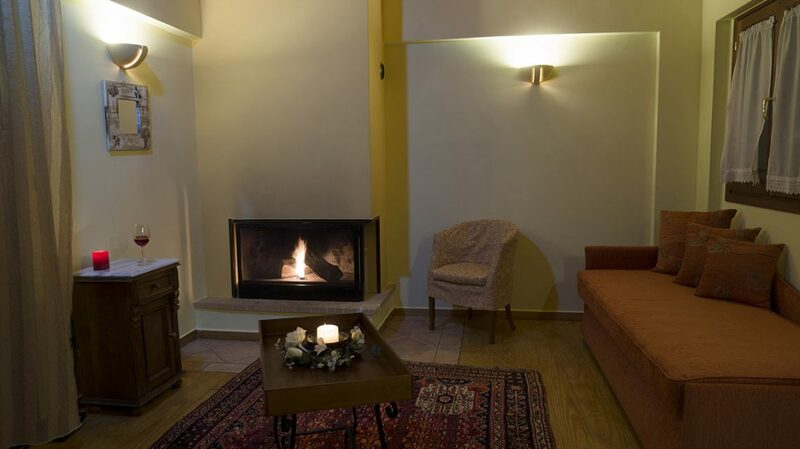 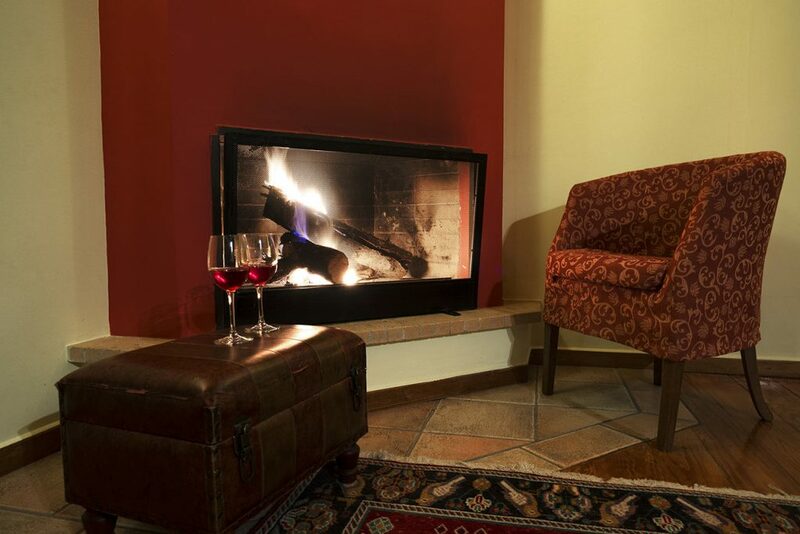 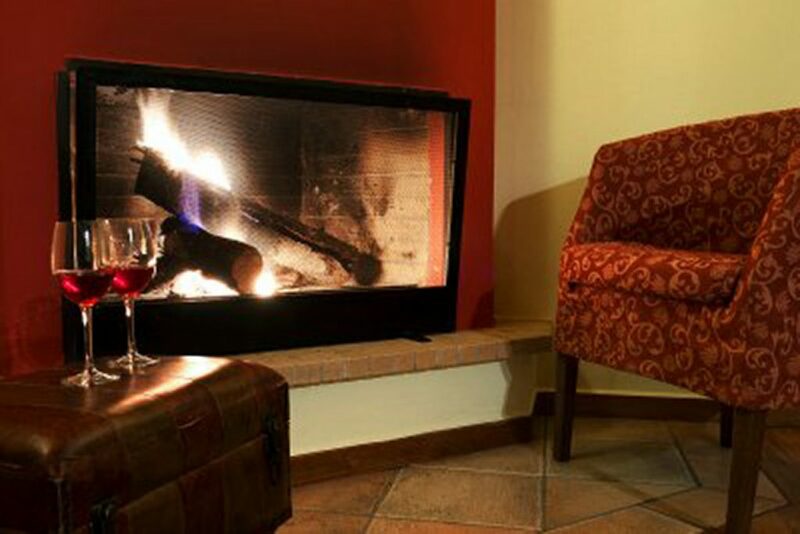 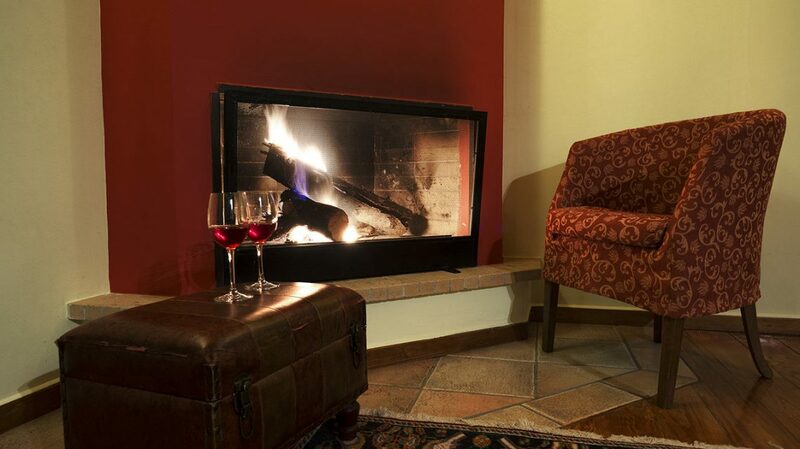 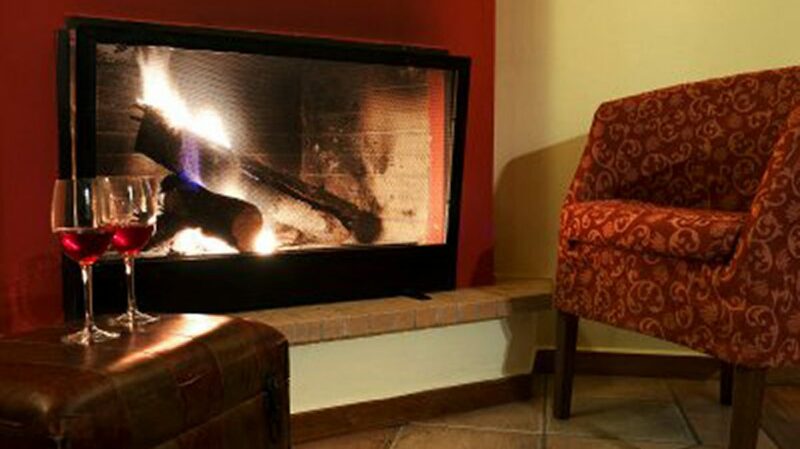 The fireplace is ideal during the winter months. 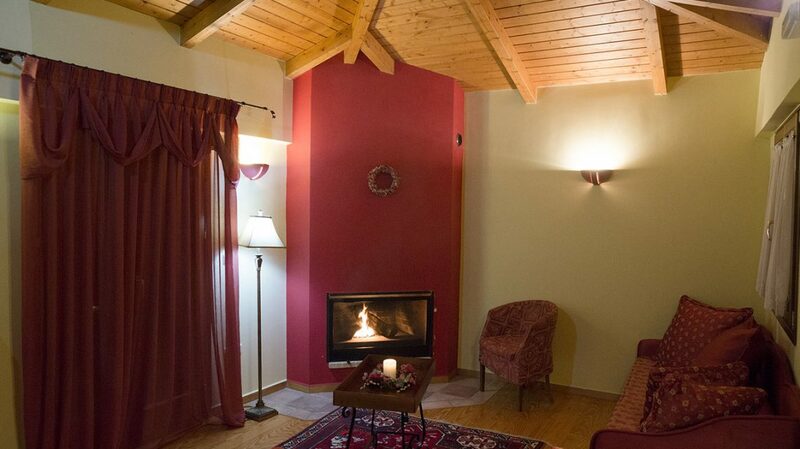 No extra fees charged for the woods. 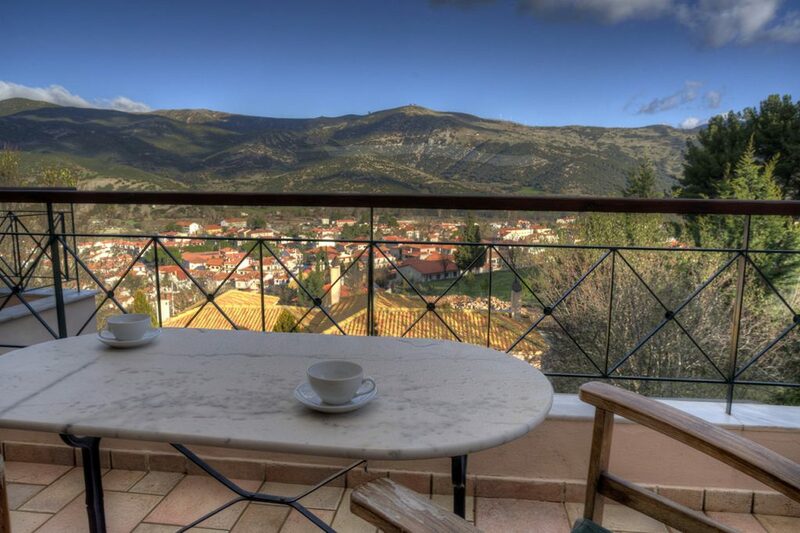 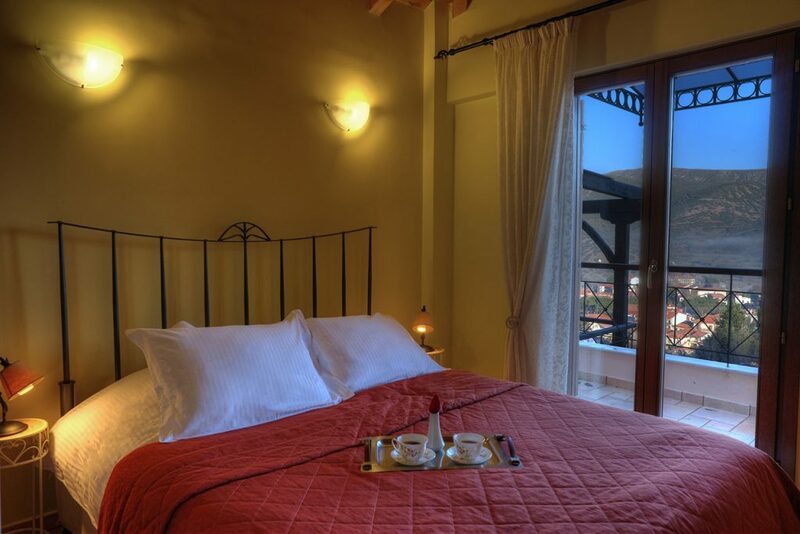 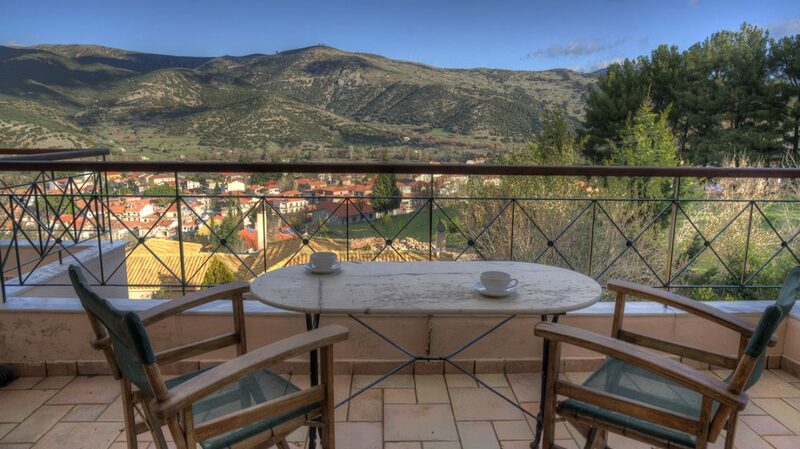 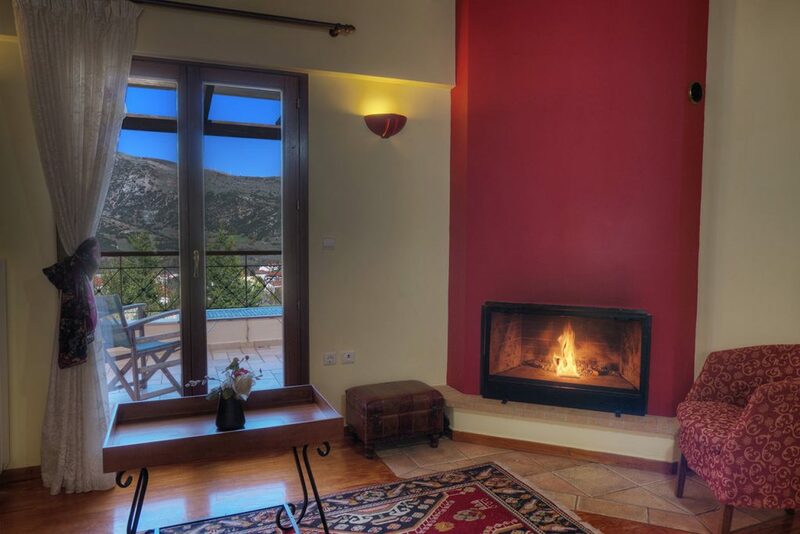 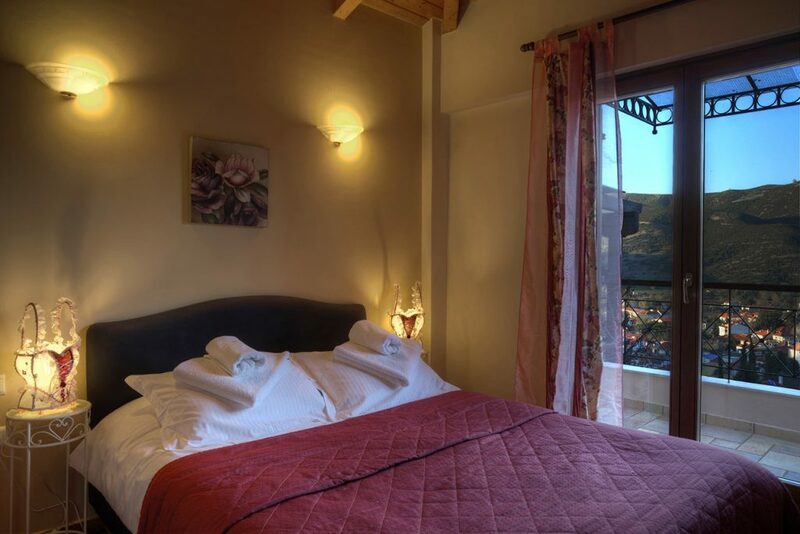 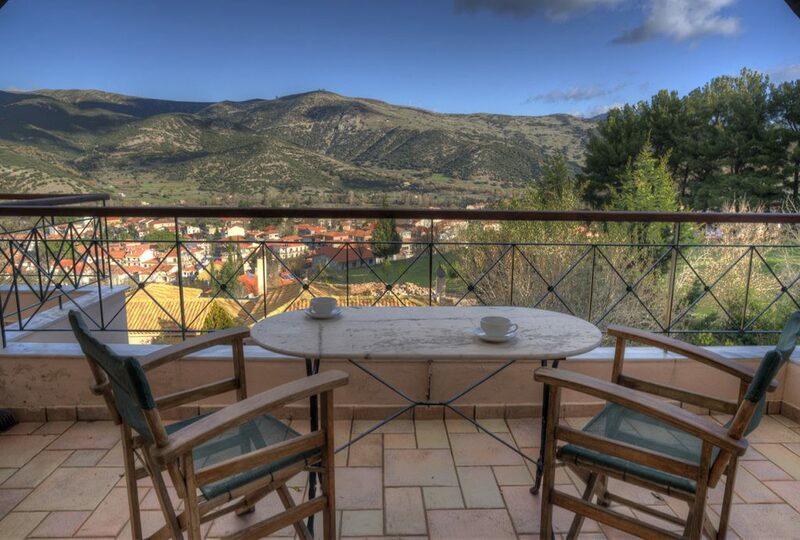 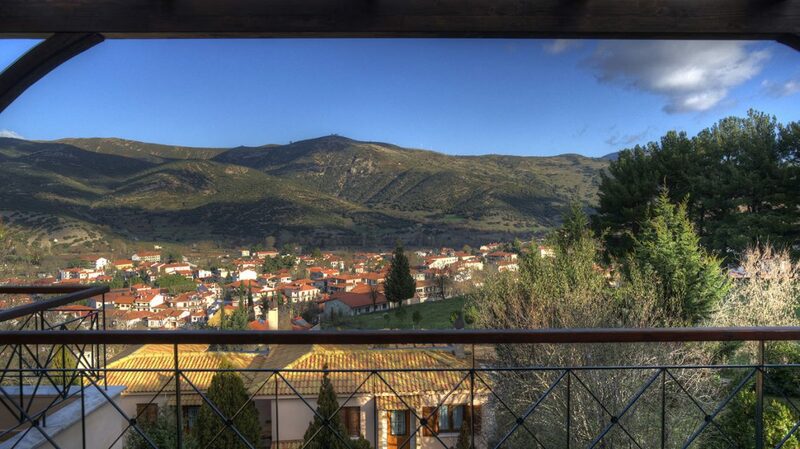 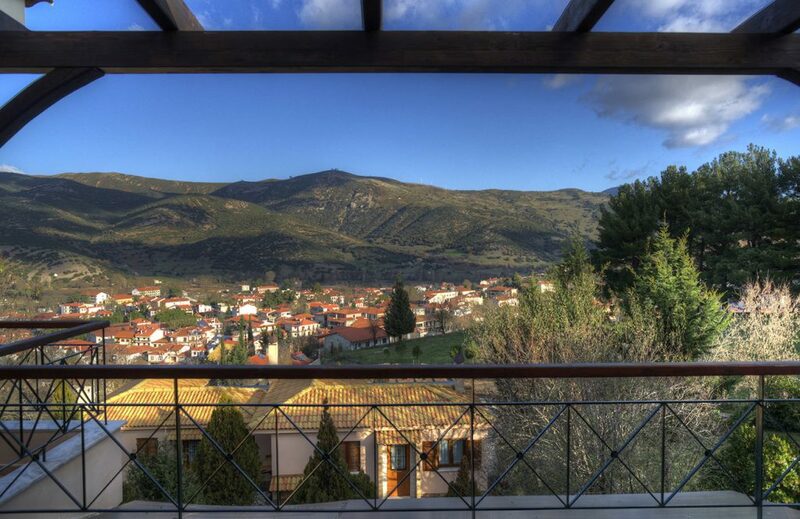 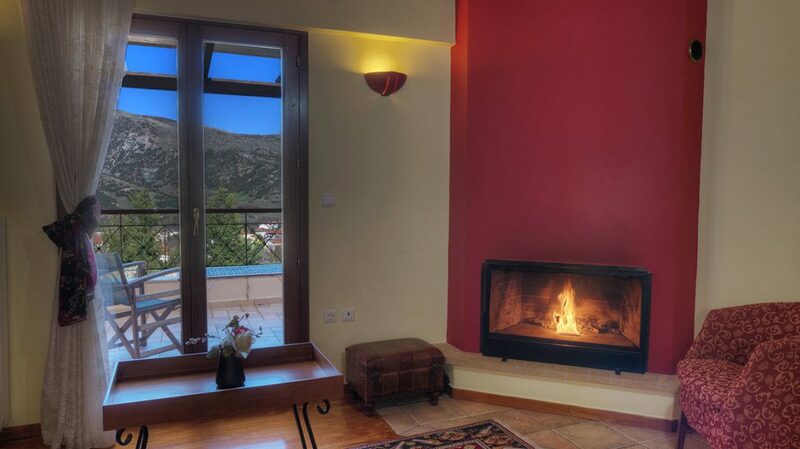 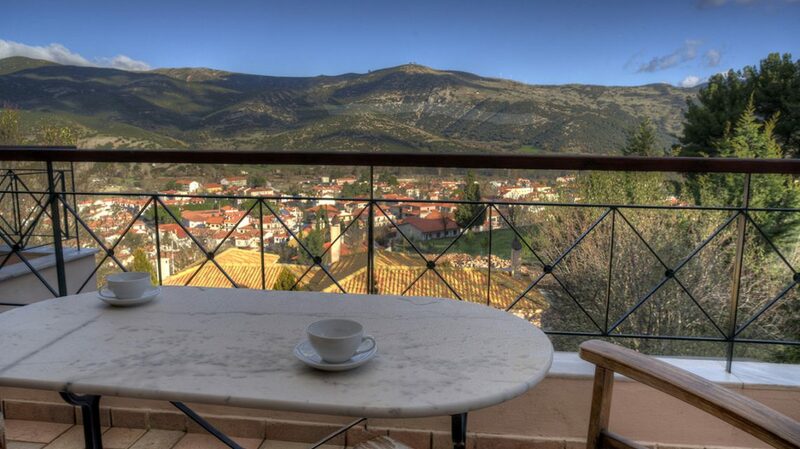 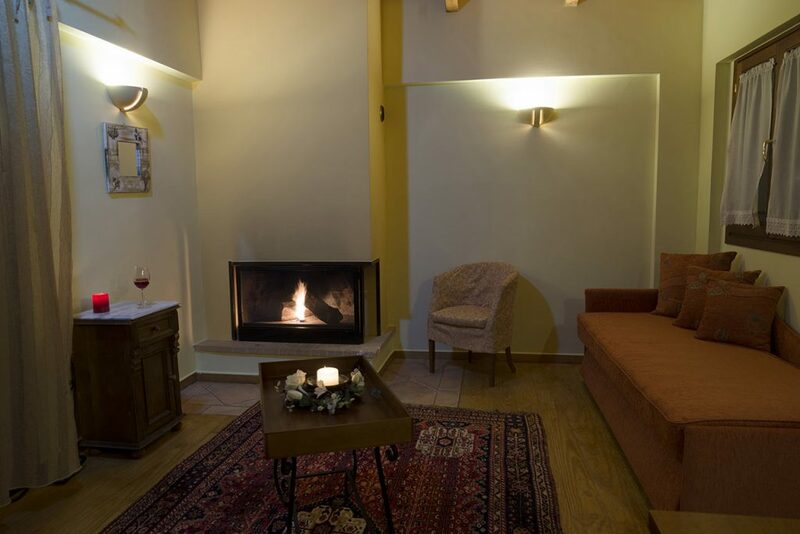 By the balconies, you can admire the outstanding view over Kalavryta. 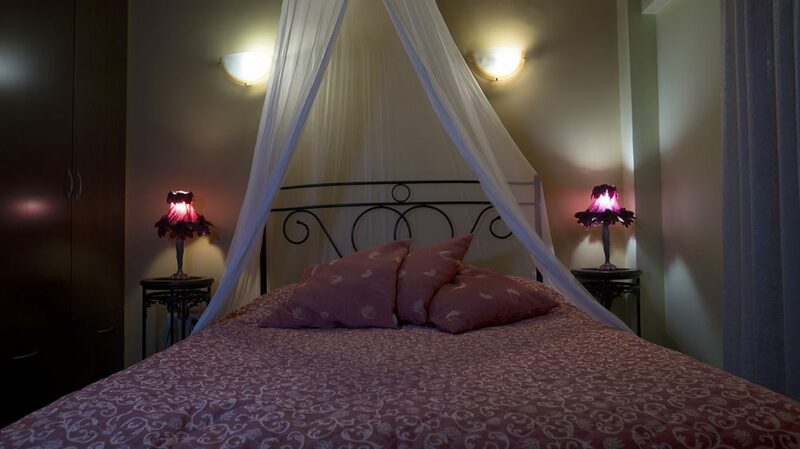 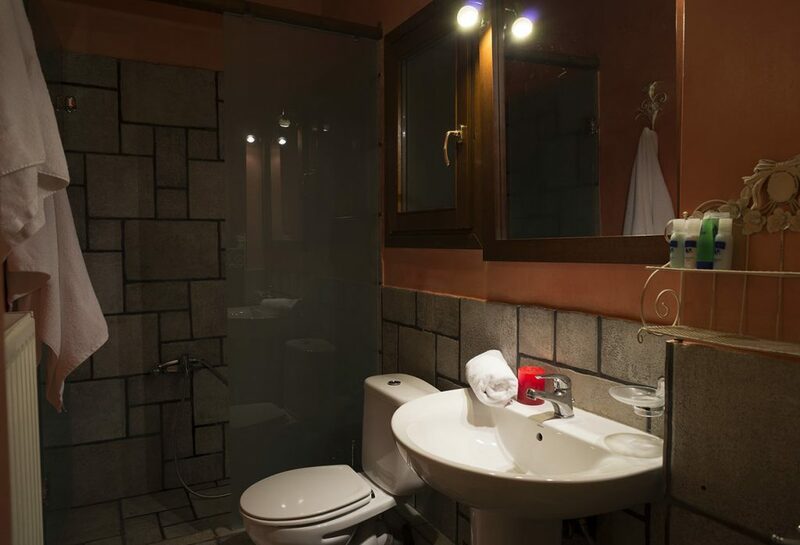 It is suitable for young couples willing to live romantic moments as well as for four-member families. 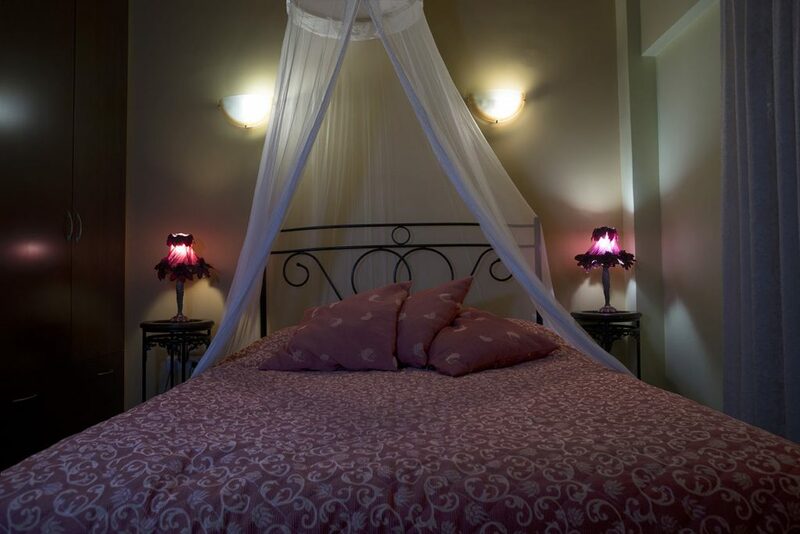 Deluxe apartments have been equipped with Coco-Mat mattresses. 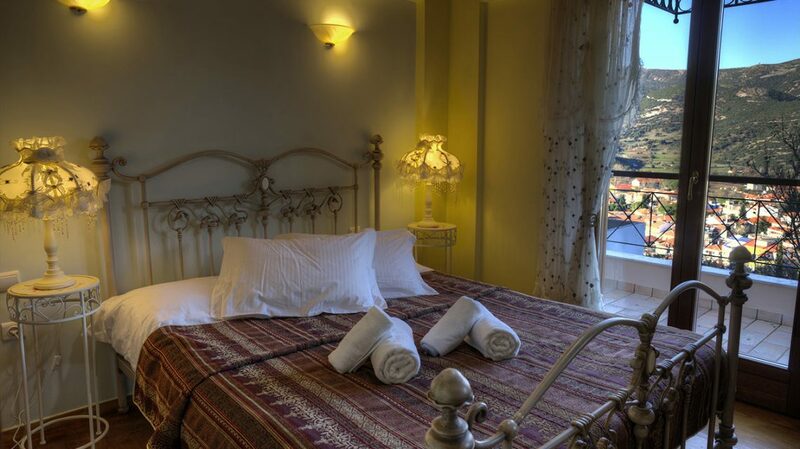 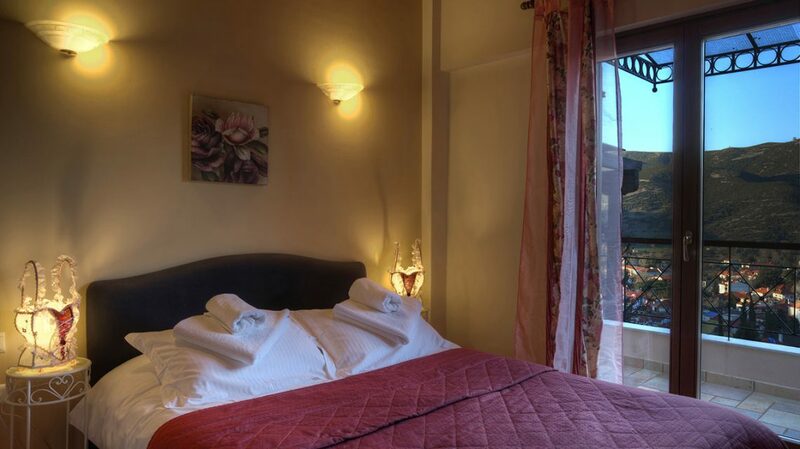 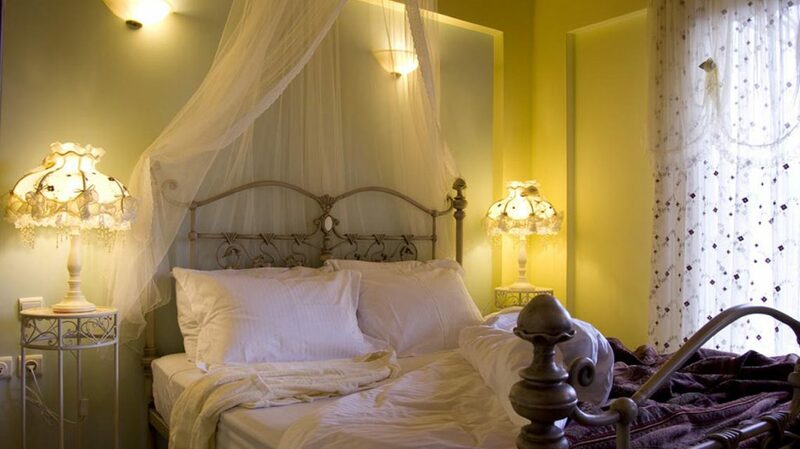 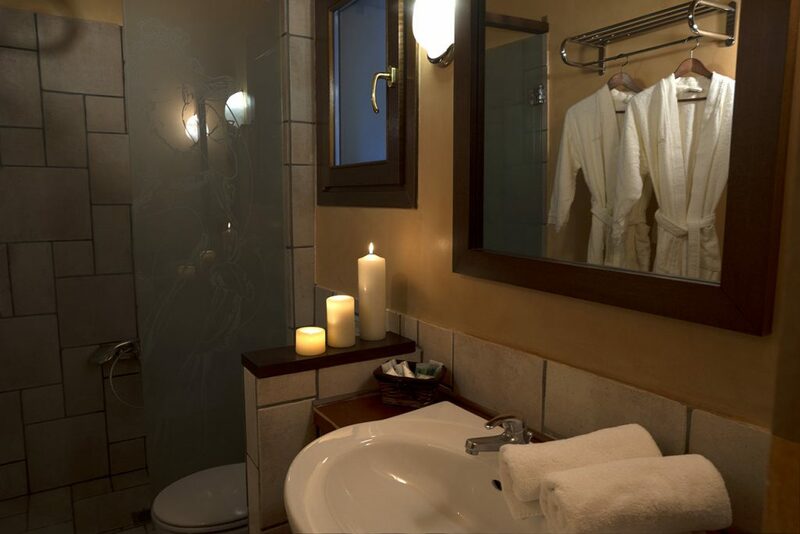 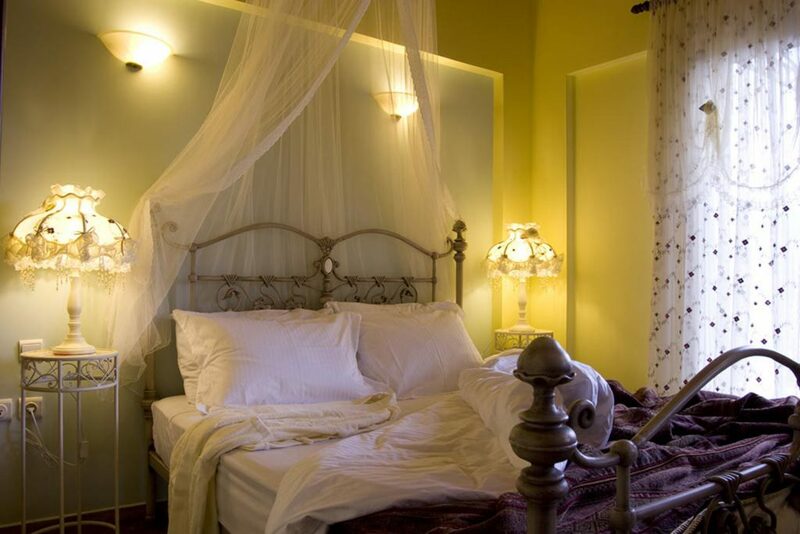 We aim to offer a quality sleep for our guests. 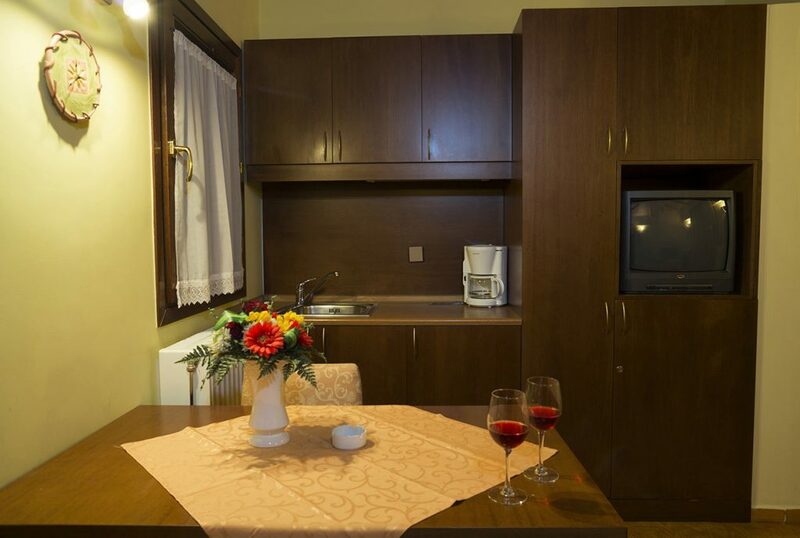 Young couples traveling low cost may be interested of Standard Double Room. 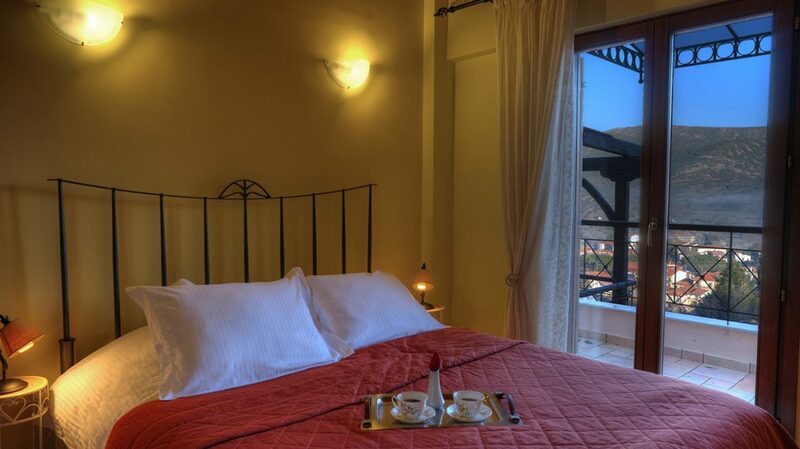 Share the post "Deluxe Apartments"